With JungleDocs you can easily convert documents to PDF format. There is no additional configuration needed to do this. 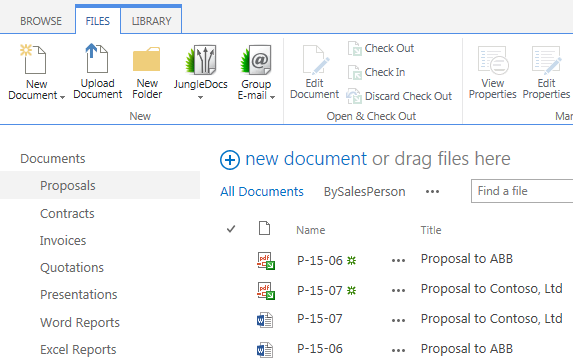 In this tutorial, you will learn how to use JungleDocs to convert the documents in your SharePoint to PDF. 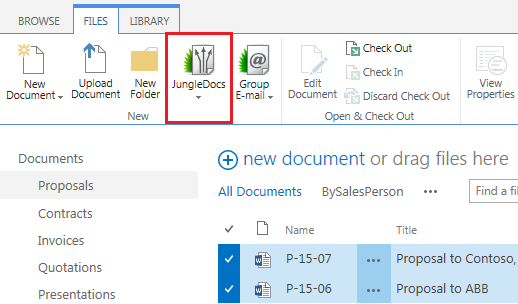 Simply open your library, select the documents you need to convert and run JungleDocs. 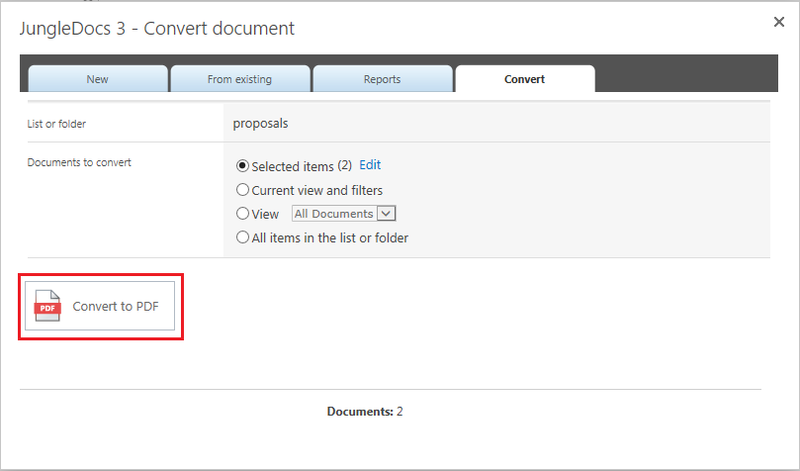 Select the Convert tab and click Convert to PDF. You can also choose to convert all items in the list or specific view. Converted items will then be stored in the same library.